Often MS Outlook users observe unusual behavior that includes receiving startup error messages. Sometimes when users start Outlook they receive error message or Outlook denies opening. In such situations, it is not hard to solve this issue but requires knowing some specific aspects of Outlook. Therefore, this guide will help you to know all about causes that can lead to Outlook start up error messages. This guide can be also used as medium to sort out troubleshoot common issues in Outlook. Any application needs an approval from agencies to run better and perform well. Likewise, Outlook needs to be updated on time to resolve compatibility issues to work on Operating system of user. For instance, Outlook versions 2003 and 2007 cannot work on Windows 7 & 8 before installing latest service packs because of compatibility issues. 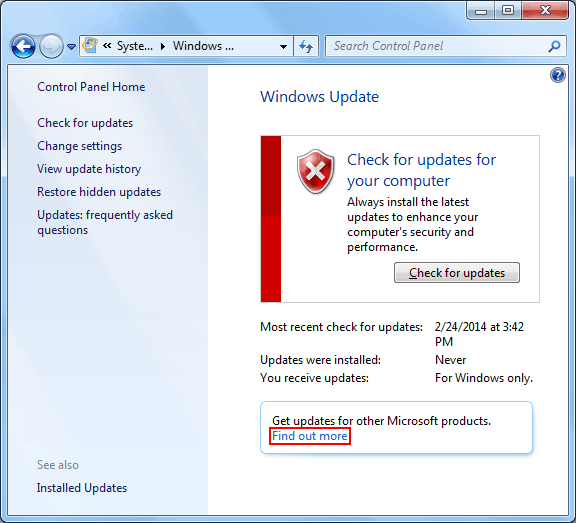 So make sure you have updated your current Outlook version to avoid any kind of compatibility issues or error messages. Users can rely upon Microsoft Update along with Office to install latest version for Windows and Office both. If you haven't used Outlook for long time or new user to Outlook it refuses to start because you have not configured your mail account. One common mistake that users make is choose Exchange Account for configuration while you need an IMAP or POP3 or Hotmail account that also lead to Outlook doesn't start issue. In such case it is better to recreate your mail profile using correct server settings provided by ISP or email administrator. If you are sharing your computer with another user then ask them to logon and verify if Outlook still shows error message while starting. If the issue is likely to appear only for you and works fine with different user then it must be a cause of faulty add-in or damaged Outlook/Office installation settings. Make sure you have all add-ins and Outlook configuration settings correct. If you are massive Outlook user and have worked previously with Outlook with all correct settings then try to run Outlook in safe mode. Safe mode is correct way to know what is wrong with Outlook is all about add-ins or not. In Safe mode Outlook will avoid loading unnecessary add-ins along with some settings files from being loaded and turns off Reading pane. If Outlook works fine in safe mode then probably the issue is with add-ins or corrupted settings file or in the first message that appears in Outlook. Additionally, if it does not work in safe mode then further trouble shoot this the problem with following given steps. If you are user of Outlook 2007 or any previous version then you must be aware that Outlook stores different kind of settings in .dat files. Whenever user opens Outlook these .dat files loads data to open Outlook. In such cases where these files become corrupt then renaming them to .old may resolve problem. Upper versions of Outlook like 2010 and 2013 do not use these files so Outlook 2010/13 users can skip this step. To resolve this issue you need to reset extent.dat and outcmd.dat file by renaming them to .old files. 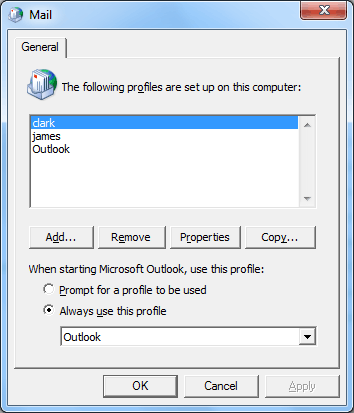 You can perform this function when Outlook is not in running mode. If you are getting error like 'Cannot open the Outlook Window' while starting Outlook, you are probably running Outlook 2007, 2010 or 2013. This type of error message indicates that there is corruption in Navigation pane. Resetting Outlook with Navigation pane may resolve the problem. If Outlook is working correctly in safe mode then cause of Outlook doesn't start issue is add-ins. To resolve this issue start Outlook in safe mode again and enable the add-ins one by one until Outlook fails to load again. In most of the cases the add-in enabled by you last time is mainly causing you problem. Note: Outlook is strong enough to handle any kind of security threat itself, so when users install any kind of anti-virus programs integrated with Outlook causes problems in Outlook. 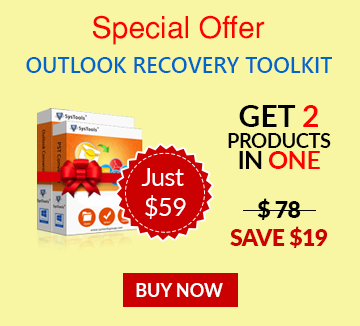 So it is strongly recommended to uninstall anti-virus programs from Outlook. When you use Scanpst.exe all of your PST file errors will be fixed, use Scanpst.exe until you got no errors found message on screen. If after scanning too you are getting error message then it is recommended to copy data to new PST file. Another reason for which Outlook fails to open is damage of mail profile. To fix this issue recreate your profile by going to Control Panel and then Mail applet. You need to first add a new mail profile without deleting or altering your current configuration to check if it resolves the issue or not. If it sort outs then you can easily migrate PST file data from damaged mail profile into new profile. If none of the above discussed method work fine for you then you must try Repair, Office Diagnostics or reinstalling Office/Outlook to resolve Outlook doesn't start issue. Although reinstalling Outlook does not hamper any file or settings of Outlook but you should not forgot to have backup of your Outlook data file. Insert Office CD/DVD and run Setup.exe > Repair or uninstall Office and reinstall it. If none of the process works fine for you to resolve Outlook doesn't start matter then you should try open Event Viewer and try out Application Log to go through the registered by Outlook. Post your issue somewhere on Outlook forums over net or can hire External application to repair Outlook (PST) issues.